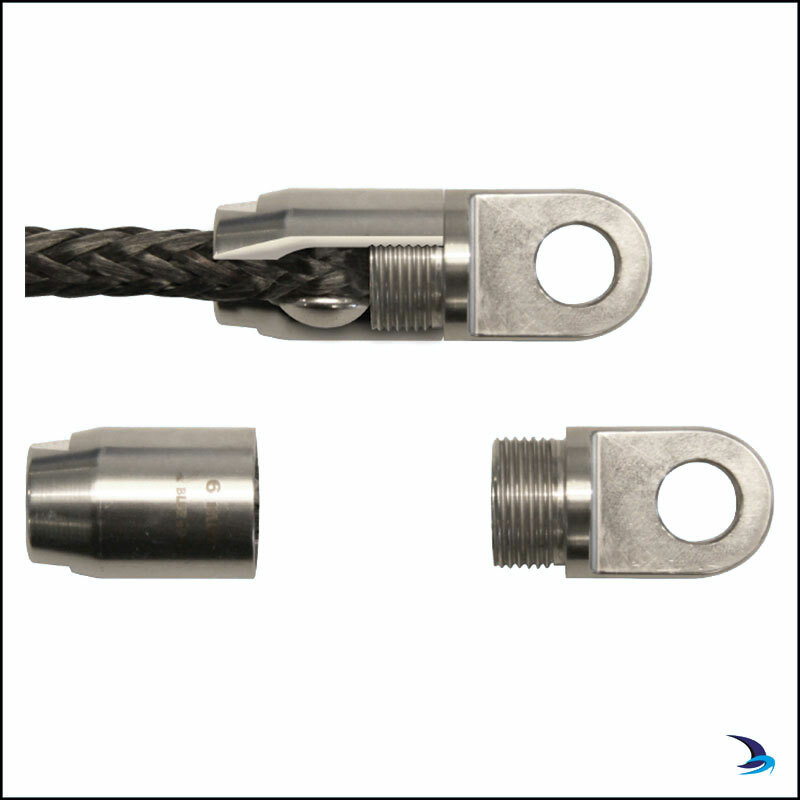 Blue Wave Dyneema rope terminals are a new and simple concept in making up Dyneema stays as an alternative to stainless steel wires. No special rope splicing skills are necessary to form end terminations making it the perfect solution for carrying on board an emergency stay in case of failure on the main rig. 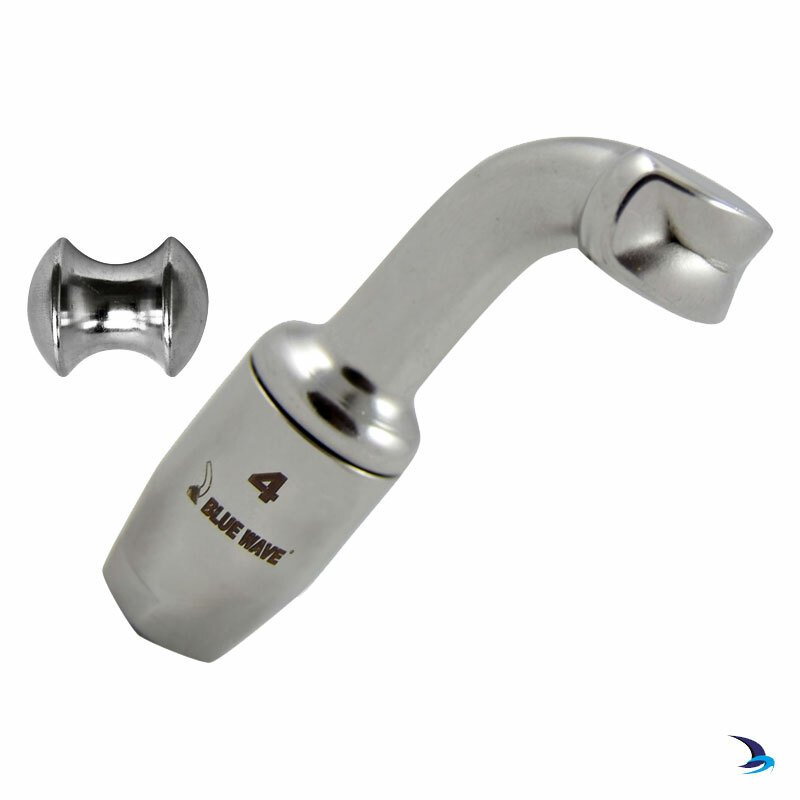 All fittings are engineered and tested to break loads stated in the technical schemes and guarantees safe and reliable performance. When terminating high modulus fibre like Dyneema® rope a knot for example can reduce the ropes strength by up to 60% and will seat and slip under load. Blue Wave recommends that safe workloads should not to exceed one fifth (1/5) of the break loads listed.